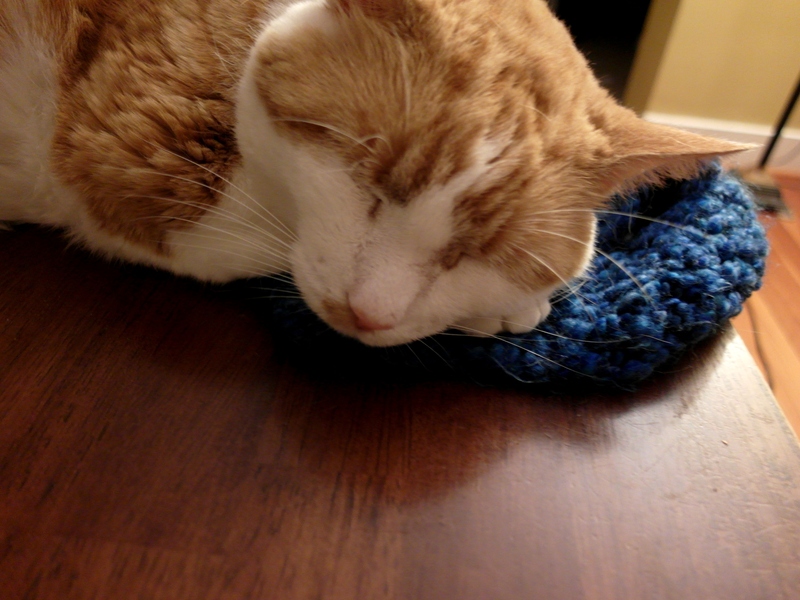 Troy loves to lay his head on a four inch head band that I crocheted out of Lion Brand Homespun® Yarn, color Montana Sky. 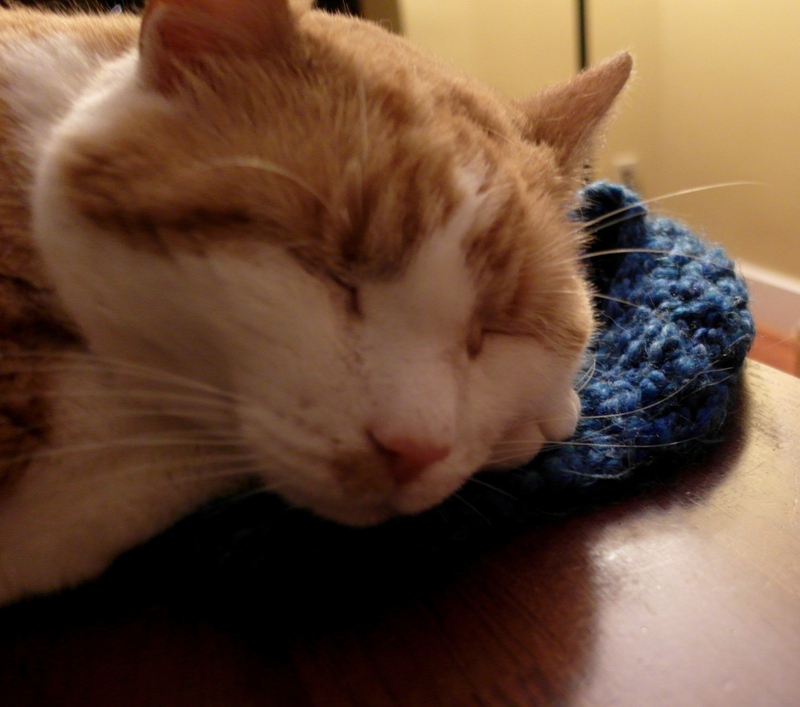 Doesn’t he look so comfortable and adorable? 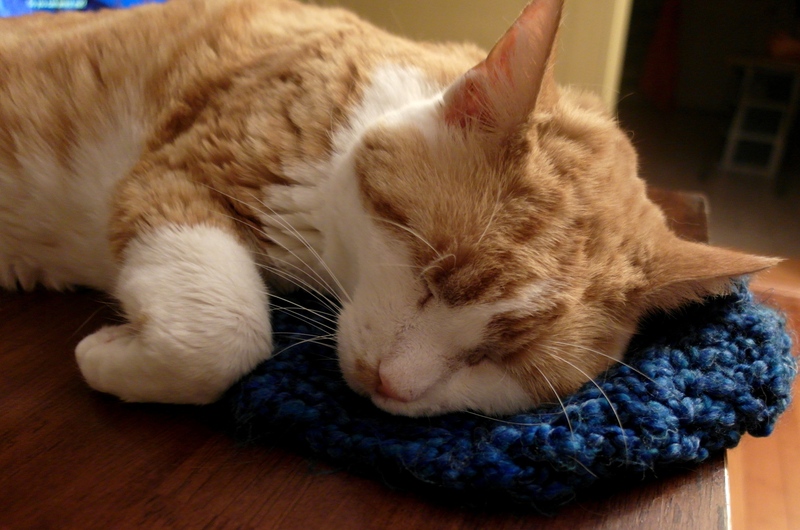 This entry was posted in #LOVE, Cat, Crochet, Lion Brand Homespun, Yarn. Bookmark the permalink.